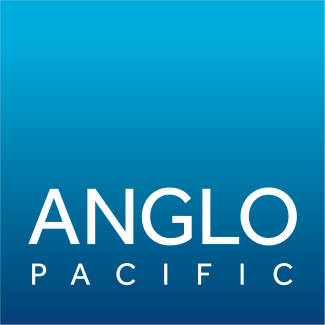 Anglo Pacific Group PLC (‘Anglo Pacific’, the ‘Company’ or the ‘Group’) (LSE: APF) (TSX: APY) is pleased to announce its full year results for the year ended 31 December 2018 and the publication of its audited 2018 Annual Report and Accounts. These are available on the Group’s website at www.anglopacificgroup.com and on SEDAR at www.SEDAR.com. The following statement should be read in conjunction with the audited financial statements. * Following the application of IFRS 9, the royalties received from EVBC are reflected in the fair value movement of the underlying royalty rather than recorded as royalty income. “2018 was the second year in a row in which we reported record contribution from our royalty portfolio, and the recent announcement from Adaro suggests that there is a significant increase in volume to come at Kestrel in 2019. This led us to propose a 14% increase in the total dividend for 2018 to 8p. I am particularly pleased to highlight the contribution from Maracás, now our second largest royalty, and LIORC, our most recent addition, which demonstrates the progress we have been making in building a diversified portfolio whilst reducing our dependence on the Kestrel royalty. LIORC generated £1.9m in royalty related income since its acquisition in H2 2018, implying an annualised yield of ~10%. Based on 2018 revenue, we have now successfully increased revenues by approximately £15m annually over the last four years. We have also systematically strengthened the balance sheet, senior management and the Board which together provides the Company with added firepower to grow and execute accretive transactions. This is good progress, but we have more to do and our target for 2019 is accelerating the rate of our growth. Growth will not, however, come at the expense of quality, diligence and prudence in the projects we choose to support. To this extent, we will continue to focus on projects which produce premium materials, which we believe will continue to command a higher premium over time. In addition to product quality, we will also maintain a strict focus on how the projects are operated and managed from an ESG perspective and we will only support those projects which are being run ethically and responsibly. Our annual report contains further information in relation to our initiatives in this area during 2018 and how we see this evolving in the years ahead. Although Anglo Pacific is not an operator, our investments are in natural resources projects, and we continue to believe in the ongoing need for high-quality, low polluting products which are operated in a responsible manner by experienced management teams. 1 Adjusted earnings/(loss) represents the Group’s underlying operating performance from core activities. Adjusted earnings/(loss) is the profit/(loss) attributable to equity holders less all valuation movements, non-cash impairments and amortisation charges (which are non-cash IFRS adjustments that arise primarily due to changes in commodity prices), finance costs, any associated deferred tax and any profit or loss on non-core asset disposals as these are not expected to be ongoing. 2 Free cash flow is the net increase/(decrease) in cash and cash equivalents prior to core acquisitions, equity raising and changes in the level of borrowings. Anglo Pacific made significant progress in 2018, which lays the foundations to fund further growth. In 2019, we have a firm expectation to generate organic growth from the Company’s royalty portfolio which should, subject to prevailing commodity prices, result in strong earnings and cash generation. We continue to see traditional capital finance for new mining projects remaining constrained in current markets, and, whilst this presents challenges for small to medium sized miners, this conversely presents increasing opportunities and demand for royalties. This should provide Anglo Pacific with opportunities to add attractive assets to its portfolio. Growth and delivering value remain a focus for the Company in 2019 and the years following. There will be an analyst and investor presentation via conference call and webcast at 9:30am (GMT) on 27 March 2018. The presentation will be hosted by Julian Treger (CEO), Kevin Flynn (CFO) and Juan Alvarez (Head of Investments).